Authorities say they found gas bottles in the vehicle. "Rotterdam" became the first Olivier-winning play to feature a trans protagonist. The leaders of the city’s climate-proofing effort radiate confidence in their ability to meet the challenges. The port is Europe’s largest by cargo volume and covers 48 square miles of land and water. Their shop has a no appointments system and offers just a limited range of traditional cuts -- 22 in total. 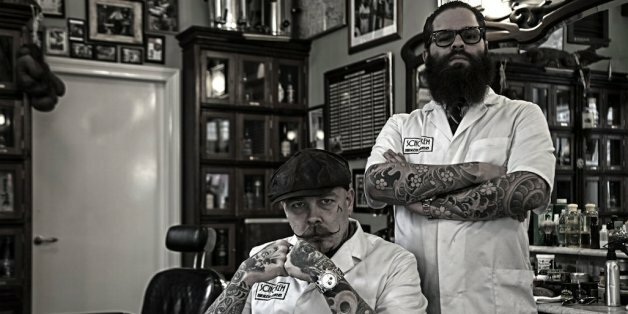 A haircut takes between 30 and 45 minutes; a shave around 20 minutes. The only tools its staff members use are scissors: thinning scissors, clippers and straight razors. Muslims who turn their backs on freedom have been told to pack their bags and “f*ck off”, the mayor of Rotterdam has said. Moroccan-born Muslim Ahmed Aboutaleb made his comments in the aftermath of the Charlie Hebdo attacks which left 17 people dead. Speaking to NewsHour, he said: “It is incomprehensible that you can turn against freedom… But if you don’t like freedom, for heaven’s sake pack your bags and leave. I found myself in Rotterdam this summer covering the North Sea Jazz Festival, one of the largest of its kind that takes place each year in the seaside Dutch town just outside of the more famous "dam." Let's celebrate the cities that have done the work and spent the money to make vibrant and dynamic waterfronts -- great spots where tourists and locals alike can gather, play and reflect. Young entrepreneurs are finding new and creative ways to connect and tackle global issues. One weekend out of the year, young business men and women convene in Rotterdam to share resources, projects, and ideas.